An aromatic buttery cake made with a rich nut mixture of blanched hazelnut is topped with a sea of deep amber sea salt caramel sauce. This simple Hazelnut cake with Salted Caramel Sauce is the perfect sweet and salty dessert! So when one of my friends reached out for some help while she was away on vacation, I raced upon the opportunity! I made this special hazelnut cake with salted caramel sauce for Julie’s readers. Julie is a great friend and mentor that has welcomed me into her blogging community. Head on over to her blog, This Gal Cooks for the recipe! This hazelnut cake with salted caramel sauce is a buttery rich nut flavored cake that is topped with a deep amber sea salt caramel sauce to give you the perfect sweet and salty treat! Wow this cake looks so soft, spongy and the caramel looks so fantastic! The best part of blogging is definitely the friendships. Though all the cake recipes don’t hurt either! Definitely off to check this out….you had me at salted caramel. And hazelnut. And cake. This caramel sauce has me drooling! Heading over now to see the recipe!! I have made some amazing friends blogging. Salted caramel sauce??? Can I just pour it right into my mouth? YUM! That is totally what I did!! Hahhah pictures of cake makes blogging amazing!!! Thank you Beth!! Ps: sent you a Facebook message! Tammy, you have to!! Salted caramel sauce is just soooooo good!! Oh my gosh look at that oozing salted caramel! Great pictures too. Oh my goodness, that caramel! 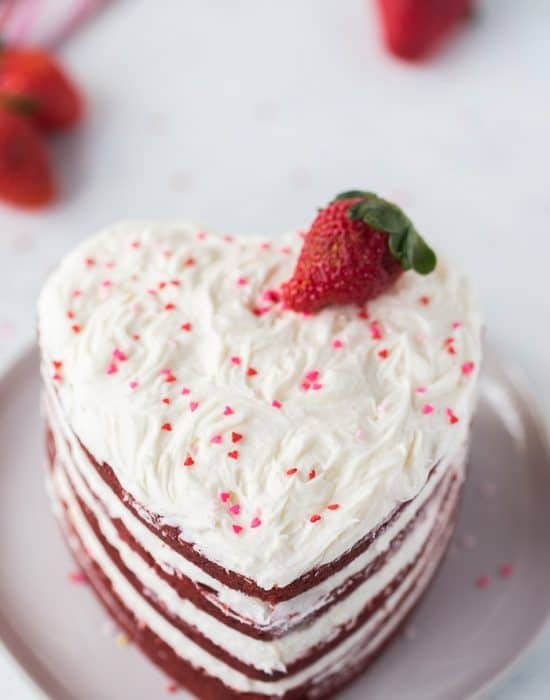 Looks beautiful on this lovely fluffy cake, but I bet it would be amazing on all sorts of other things too, like baked bananas or even ice cream. Yum! It has been awesome getting to know you, and you are so right. The community that you form as a blogger is absolutely incredible. Nothing like it and the funny thing is sometimes you have never even met those people in person! 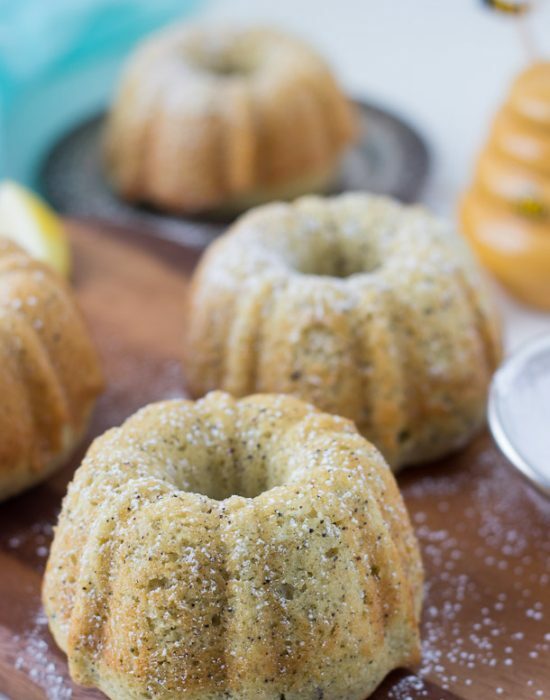 Totally going to check out this recipe cuz seriously… HOLY FREAKIN YUM!!! But then again, should I expect anything less? Nope, I think not, not from you! Thanks Krista! I totally agree…you form such great friendships with amazing people you have not even met. My husband is still getting used to it lol! 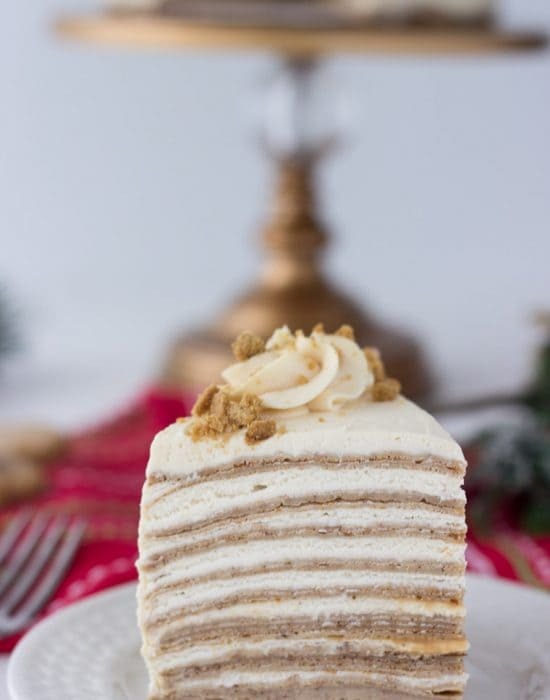 Oh my goodness – hazelnut cake? Am I dreaming? I love reading about you tag teaming with Julie and then this package – gives me the warm fuzzies 🙂 This cake looks delicious! What a perfect use of that caramel! Thanks Mary Frances! Hope you are having a great weekend. You had me at salted caramel! I will definitely check out the recipe. I love having YOU for a blogging friend! can I please drink that caramel sauce? Alex me too!! I’m so glad we are friends 🙂 And yes please let’s drink this sauce. It’s so great! Thanks Deb! I’ve been so happy you guys welcomed me 🙂 And of course I’ll let you know next time I’m in MN! STOP! This is amazing! Hazlenut and caramel?! You’re killing me. Gotta see more. Heading to Julie’s. STOP! This is amazing! Hazelnut and caramel?! You’re killing me. Gotta see more. Heading to Julie’s. Hahah thanks Connie! How can I stop when it’s so good?? Lol! Hope you are having a great day. My eyes are like saucers right now. HAVE to get this recipe. Ooooh that caramel….oooooh hazelnut cake….oooooooh!!! Going to check out Julie’s site now because I NEED this recipe! This cake looks amazing. Pinning! And you are so cute – I’m so happy I have met you through blogging! This looks delicious! I love hazelnut and chocolate combos. I love your recipes. I think I’ve pinned all of your salted caramel recipes and this one is being happily added to the collection, especially since you’ve paired it with another of my favorite flavors–hazelnut! Visiting you this week from the SITS Share Fest, but always a fan. 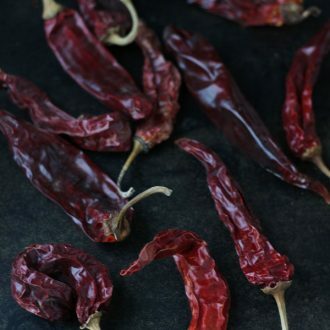 I saw this recipe on Julie’s site this morning. I haven’t stopped thinking about it since. It looks wonderful! This looks so delicious! 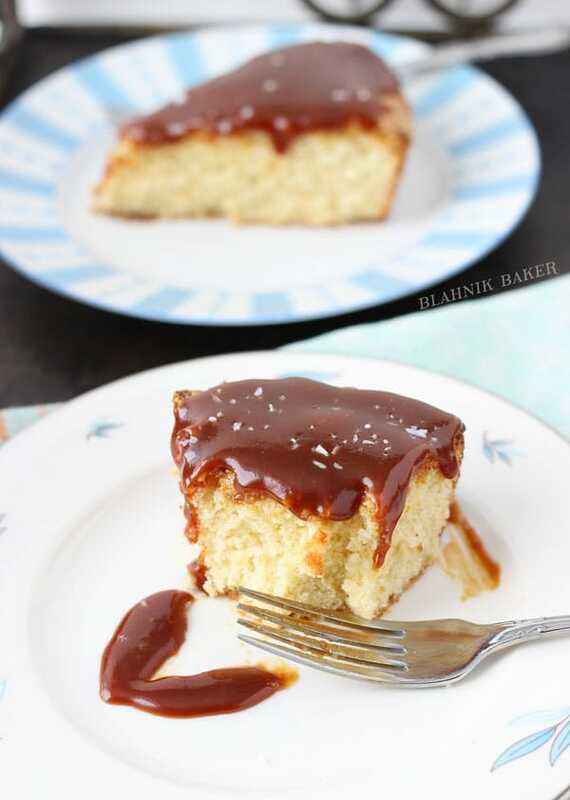 I love how soft the cake looks, and the caramel sauce is to die for! I am soooooo here for anything with caramel on it. YUMMMMY! 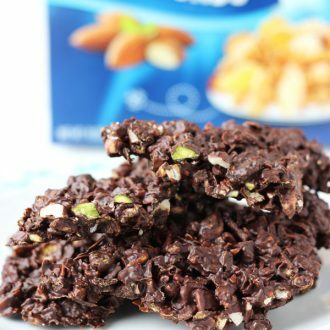 I love anything with hazelnuts. This cake looks like a real treat! I think I would make this cake for the sauce alone. This looks so freaking good! I knew I shouldn’t have came to your blog at 1 am; now I’m craving this cake now lol!! It looks amazing! 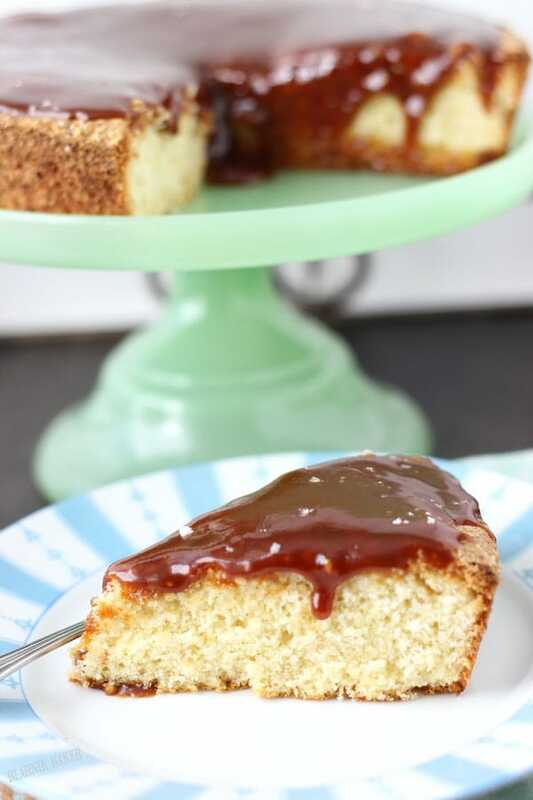 Ooooooh the texture of your cake looks perfect and I’m dying for a taste of that salted caramel sauce! Heading over to read the guest post right now. This looks so beautiful; I’m heading over to check out the recipe right away! That salted caramel sauce looks divine!! Really the whole cake looks divine!! 🙂 Yum! Great minds think alike Zainab! This looks delicious, I could so easily dip my finger into that thick, luscious sauce hmmmm! 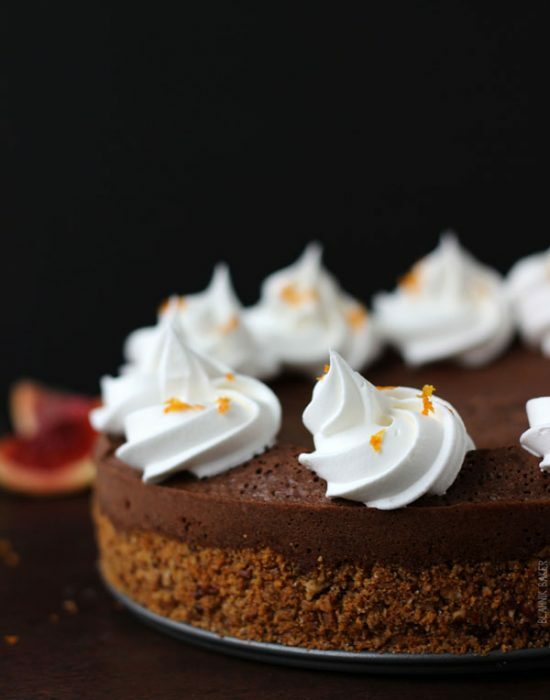 I love the salty-sweet combo here….and the cake looks so moist and delicious! Yummm!! Thank you very much Cathy!! This looks delicious! I love anything with caramel. Thank you for linking to the In and Out of the Kitchen Link Party. Hope to see you next time.